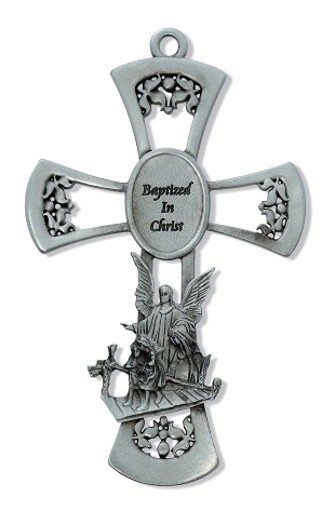 A beautiful pewter Guardian Angel Baptism Cross for your special child's nursery wall. 6 inches tall with words "Baptized in Christ" engraved in center. Comes with gift box for easy wrapping. Made in the USA by McVan.